Environmental Studies Professor Ravi Rajan has received three years’ support from the Aphorism Foundation to write a comprehensive world environmental history. The gift will afford Dr. Rajan extra time for writing as well as assistance with research. 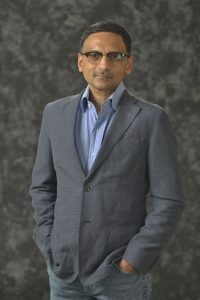 Dr. Rajan is a specialist in environmental history and theory, with emphases on the political economy of the environment (and particularly development conflicts in the Global South), the relationship between the environment and human rights, the environmental basis of poverty, and green and social entrepreneurship as agencies of change.